Keeping a horse can be an expensive endeavor. Wouldn't it be fun if we could buy our horses the very best of everything? It can take some planning bank accounts. 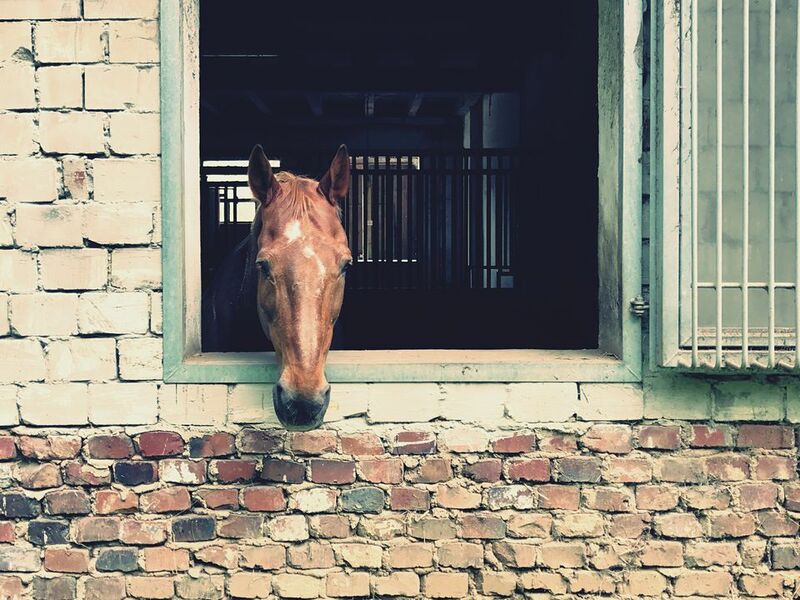 Cut back on the cost of horse care with these money saving tips for horse owners. The one thing you should never skimp on for your horse is high-quality hay. Hay is the least expensive in summer. Buy off the field, loading your own hay during hay season or have it delivered, but always buy the best. You’ll pay top price for delivered hay in the middle of winter. Cut back on concentrates unless there is a very good reason to be feeding them. Most horses stay happy and healthy on good quality hay alone. Don’t however, feed cattle feed. It can contain additives that are deadly to horses. Bulk purchases of grain can be cheaper than buying by the bag. If you have a way to store loose grain, check with your local farmers’ co-op or feed store and compare prices. Feed ‘generic’ feeds from your local feed mill rather than a name brand. Compare prices, ingredients, and quality. Buy equipment such as saddles, bridles, halters, riding boots, blankets, and other accessories from the consignment section of your tack shop. Don’t buy used helmets. Repair instead of replacing. Learn to do your own repairs. A lot of equipment can be hand sewn if you don’t have access to a heavy duty sewing machine. Clean your own rugs and blankets. A water hose and car brush combined with a little inexpensive livestock shampoo and elbow grease do a good job on soiled winter rugs. Organize or take part in a tack swap to clear out unused equipment and get stuff you need. Make your own polish to shine brass on harnesses, bridles, and halters with salt or baking soda and vinegar instead of chemical polishes. It’s better for your pocketbook and environment. Learn to make your own riding clothing and other accessories. A dressage dickie that costs $15 or more in a tack shop can be made with about $2 of white cotton fabric and a little handiwork. Any item that has the word ‘horse’ on it or a horse image on it will probably be more expensive than identical items that don’t. Your horse won’t care if its bucket or brush has a horse image on it. Glycerin soap is glycerin soap regardless of whether the packaging has 'saddle soap' on it or not. Anything you put on your horse’s skin or is meant to be eaten should be made for horses though. Sell unused equipment to raise money for things you really need. Get together with friends and hold a 'paddock sale' just like a yard sale. Horse rescues may give you a tax receipt for the equipment you donate. Make sure they are a registered charity. Be patient and wait for big-ticket items to come on sale. Be a bargain shopper. Buy things on sale at the end of the season. For example, winter rugs often come on sale in late winter/early spring and show clothing comes on sale in the fall. Check auto-part and farm supply stores for inexpensive tubs, buckets, manure forks, brooms, even halters, brushes, de-wormer, and other supplies. If you take lessons consider switching to group lessons, or taking lessons bi-weekly. Reduce the size of your herd. Some lumber mills sell softwood shavings. They may deliver in bulk or you may be able to bag it yourself. Turn off lights in your barn and arena when not in use. If riding at night, only turn on half the arena lights unless you are doing something that requires excellent lighting, such as jumping. Change the type of board you are paying for. If you’re paying for full board, consider pasture boarding. Barter barn chores for a discount on your board. Just make sure you are willing to commit to the work. Turn out horses as long as possible so they don’t soil costly bedding. Let your horse go barefoot if possible. Try front shoes only if your horse must be shod. Good basic horse care can prevent colic and other health problems that can result in vet bills. Don’t breed your mare. In most cases, it is less expensive and risky to buy a four-year-old horse, than it is to raise one from a foal. If your vet normally de-worms your horse, consider doing it yourself. Skimping on immunizations, however, is a false economy.